A 40-year-old man was arrested Monday after he allegedly exposed himself to a 9-year-old girl and pressed his body against her on a subway in Queens on Valentine's Day. 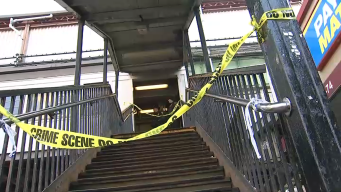 Two more people have been arrested in the apparent gang-related shooting death of a man on a subway platform in Queens earlier this month. A New York judge has sentenced a Canadian citizen to 40 years in prison for plotting a Times Square subway attack that never occurred. 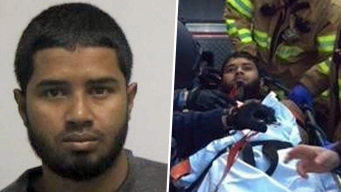 A Bangladeshi immigrant accused of trying to set off a pipe bomb in a subway corridor and only harming himself pleaded not guilty to terror charges on Thursday. 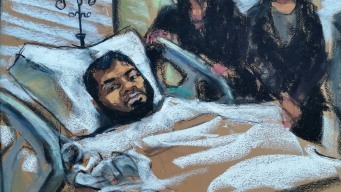 The Bangladeshi immigrant accused of setting off a pipe bomb in a Manhattan subway tunnel last month has been indicted on federal terrorism charges, prosecutors announced Wednesday. A 27-year-old Brooklyn man has been indicted on charges of assault as a hate crime for allegedly punching a woman in the face and knocking her unconscious while shouting anti-gay slurs on a subway in May.